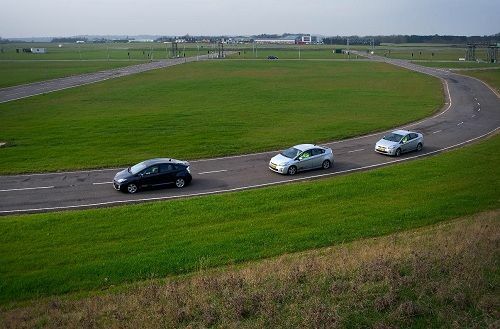 A new automotive testing track in United Kingdom (UK) called InnovITS (Intelligent Transport Systems) Advance might be the most advanced automotive testing center in the world currently and could usher in a new wave of advanced technology in future cars. There are many impressive capabilities and wide-ranging applications of the world-leading innovITS Advance automotive testing facility, which is based in the UK midlands. The new advanced facility features 4km (2.5 miles) of different types of roads and intersections to allow testing of different environments a real world vehicle might go through. The setup of the facility allows vehicles to be tested in Right-Hand Drive or Left-Hand Drive vehicles. This doesn't make the track special though. What makes it special is a mobile network setup throughout the track. The mobile network can be manipulated to test different data speeds and connection speeds. The reason for this is so engineers can test different reception from a car's computer or mobile device in a city vs rural environment. As well as transmitting enhanced emergency services in the event of a crash, which will alert emergency operators to the location of a vehicle in the event of a crash. Possibly saving a life getting to an injured vehicle occupant sooner rather than later. “The 4km network of urban highways is instrumented with fully controllable systems ranging from our own private GSM, mesh and WiFi networks which, with GNSS interruption and denial systems, provide a plug and play environment that is configurable to represent almost any urban traffic situation worldwide: providing a pathway from research to reality for intelligent transport innovation.” said innovITS CEO Phil Pettitt. Another cool feature is Skyclone, which tests GPS navigation in different simulated environments. The setup allows prototype vehicles to experience going through a tunnel, urban city, or deep canyon to see whether the GPS navigation will hold a signal. The landscapes are developed using 3D modeling programs and then are installed into an on-board computer and device which maps out the terrain as the vehicle drives along. Interesting and useful technology, which allows the vehicles to be tested in one place. InnovITS Advance also tests Pedestrian Avoidance Systems, which automatically brakes a car before hitting and injuring an unsuspecting person. They can test different environments and scenarios where a pedestrian might get hit by a car. “The facility provides a much-needed capability that will enable the automotive, telecommunications and electronics industries and highway administrations, to pull forward many new innovations that will help to shape a safer, more efficient and more environmentally sustainable future for urban transportation.” commented Phil Pettitt. InnovITS Advance represents around 10 million British pounds ($16 million dollars) of investment. With several key companies taking part. The testing facility was set up by the UK Government’s Department for Business, Innovation and Skills(BIS) as a non-profit making organization in 2005 and has the fundamental objective of achieving a world-class position for the UK tech and automotive industry. The hope is InnovITS Advance will bring together different areas of expertise from the Automotive, Highways and Telecommunications industries to build collaborative partnerships. This way more technologies can grow quicker and be used in vehicles around the globe more quickly.